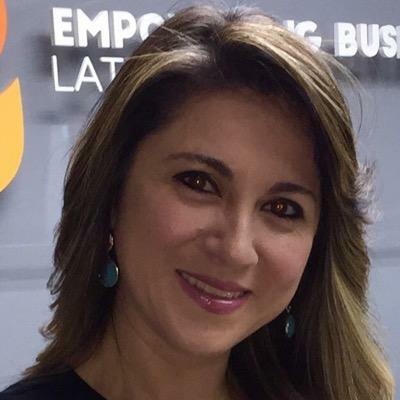 Mildred is the CEO of Empowering Business Latin America. She is a trailbrazing woman that made her transition from being an established journalist and entreprenuer in New York, to an innovative business woman in Central America. She was born in Guatemala and raised in New York and after 35 years decided to return home to help transform the country by implementing replicable best practices to help reactivate local economies by mobilizing communities to transform lives. Espinoza believes in the power of Education as a tool for development. Espinoza spent over 15 years in the business industry in broadcast media where she held important management positions. She is a two- time Emmy-Award winning journalist and television executive. She is also the recipient of a silver medal presented to her by Ban Ki-moon, former Secretary General of the United Nations for her contributions to sustainability and tourism. Espinoza has been recognized as a leading business executive and newswoman by international media outlets. She was named “Newswoman of the Week” by CNN en Español and by the International Federation of Business and Professional Women (BPW-International), an organization in more than 80 countries that hosted Espinoza in Finland during its congress in 2012 as a Mistress of Ceremony and a speaker addressing more than 600 business women from around the world. During her tenure in broadcast she interviewed various high level government officials on Millennium Development Goals addressing progress and challenges on education, gender equality, climate change, economic and sustainable development. Espinoza began her career in television working for the general market at WPIX, Crain Communications, and MSNBC. In 2003 she made her transition to NBC/Telemundo where successful business and journalism approach led her to be profiled among General Electric’s top 20 percentile, highlighting the best top management in the company nationally. Her accolades include being named Special Adviser for the Advancements of the Central American Region for her contributions to the Permanent Missions of Central America to the United Nations. She is an Honorary Ambassador of Tourism for Guatemala. Her professional expertise includes international affairs, business management, environmental, sustainable and economic development, mass media and communications. Espinoza is an advocate for sustainable and economic development in emerging countries, education, women empowerment, the use of media and sports as catalysts for change, critical issues she has addressed at the United Nations before other high level officials. She is the recipient of a humanitarian award presented to her by Mission lnternational Rescue. She currently sits on the Board of Fundación MIR. The innovative entrepreneur has lived in Paris, New York and now in Guatemala. She earned her Bachelor of Science degree in Communications from New York University. Currently also a Journalism Professor at the University ISTMO in Guatemala. Mildred is now writing her first book to empower others to achieve their professional and personal goals. She belives in empowering countries 100 at a time. “You are the architect of your present and your future, you make the decision whether you want to fly high and reach your goals.